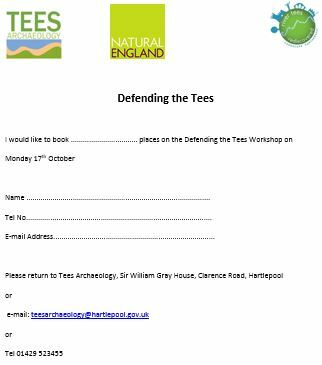 Tees Archaeology will be helping to run a day of workshops exploring the heritage of the North Gare area between Seaton Carew and the River Tees on Sunday 18th October (10.00am-3.30pm). 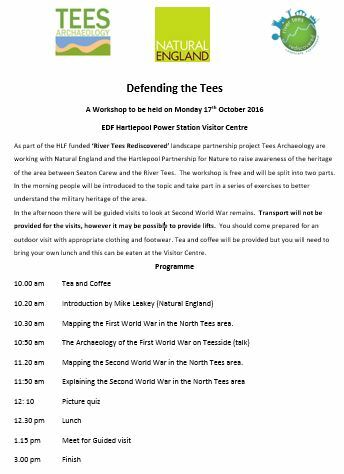 The workshop will be held at the Teesmouth Field Centre at the EDF Power Station Visitor Centre. The day will be split into two parts. 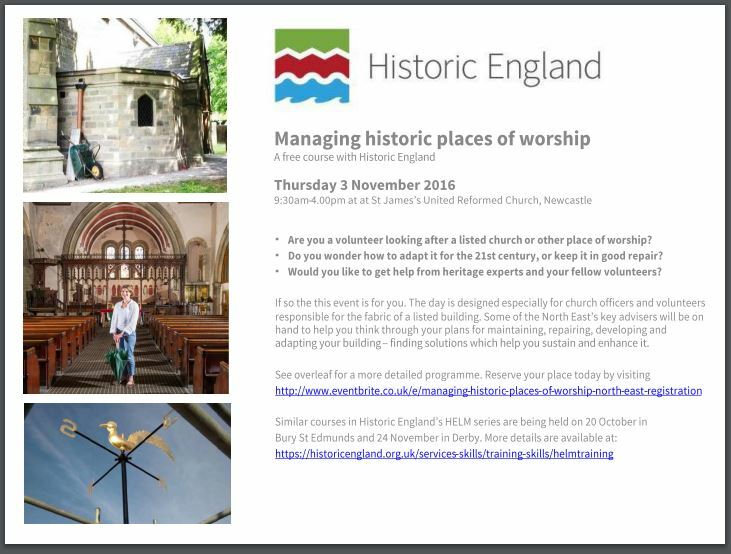 In the morning people will be introduced to a range of historical sources of information about the area and take part in a series of exercises to reveal what this tells us about the local heritage. The sources used will include maps and aerial photographs along with historical and archaeological information about the area. In the afternoon there will be a guided visit to the North Gare to look at features ranging in date from the medieval period to the Second World War. The workshop is free but prior booking is essential. Please call 01429 853325 to reserve a place. This entry was posted in E Newsletter and tagged Archaeology, Historical, North Gare, Seaton Carew, Tees Archaeology on October 15, 2015 by cbanorth. 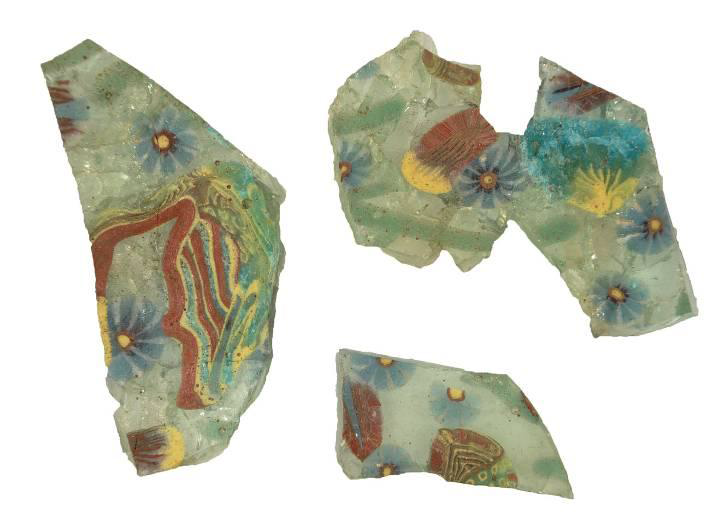 The results of the excavation of a Roman Villa at Ingleby Barwick, Stockton-on-Tees, ahead of house building in 2003/04 have just been published in a monograph by the Council for British Archaeology. 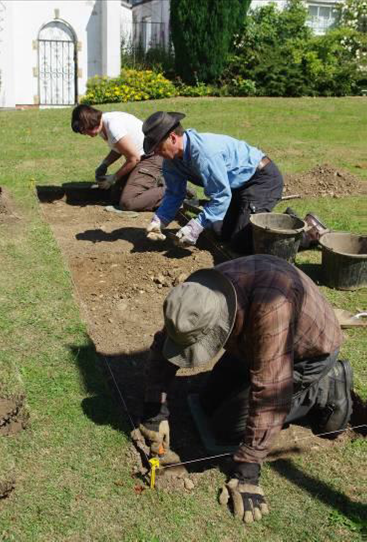 In July Tees Archaeology helped residents of Elwick village carry out trial excavations on several areas of the village green as part of a Village Atlas Project. A low earthwork on the north side of the green turned out to be an air raid shelter from World War II, a structure remembered by some residents. An intriguing collection of coins from 1928-1945 were found in a concentration in a discrete area suggesting part of the green may have been used for a commercial purposes, perhaps a fair or market for a short period. 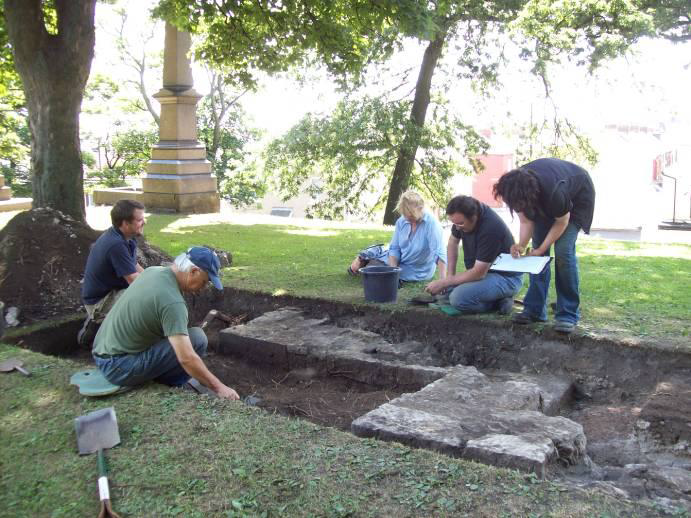 Tees Archaeology, along with the Friends of North Cemetery, Hartlepool carried out a small trial excavation on a former cemetery lodge and two chapels. The cemetery was opened in 1856 to serve the expanding port and town of West Hartlepool. The excavations noted that the buildings were founded on a mound of spoil, the result of dumping material excavated from the new docks. The buildings themselves were built of magnesium limestone blocks, which were probably also quarried from the docks themselves. As part of the project the Friends also carried out detailed recording on surviving memorials within the cemetery. 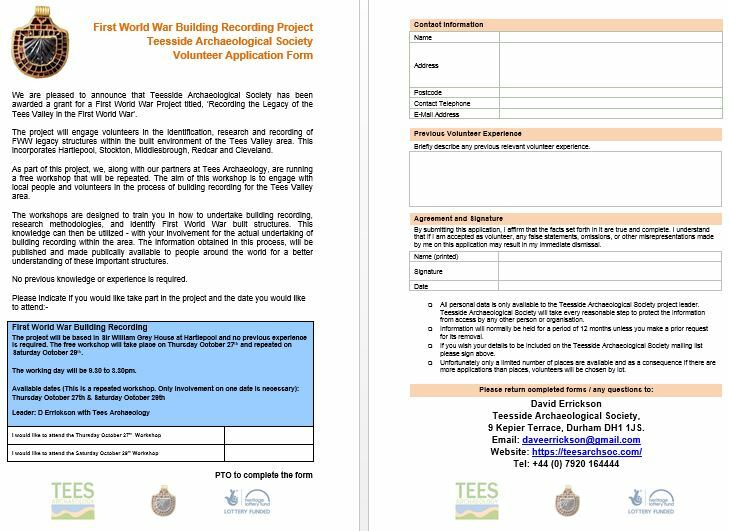 Tees Archaeology are currently working to enhance our understanding of World War I military and civil sites across Teesside. These include a sea-plane base at Seaton Snook, Hartlepool, a sub-marine depot at South Gare and a wireless listening post for intercepting German communications at Rimswell, Stockton. 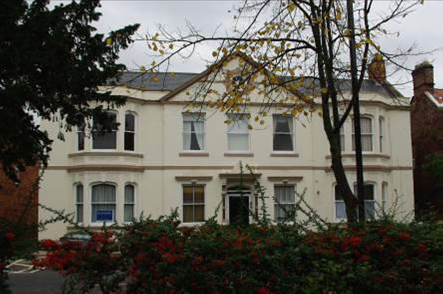 We are finding that many buildings were commandeered by Northern Command such as Thorpe House on Norton High Street, used as a hospital during the period. If you have any information on World War I sites in the area then we would love to hear from you. This entry was posted in E Newsletter and tagged Elwick, Friends of North Cemetery, Hartlepool, Ingleby Barwick, Seaton Snook, Tees Archaeology, Thorpe House on December 15, 2013 by cbanorth.